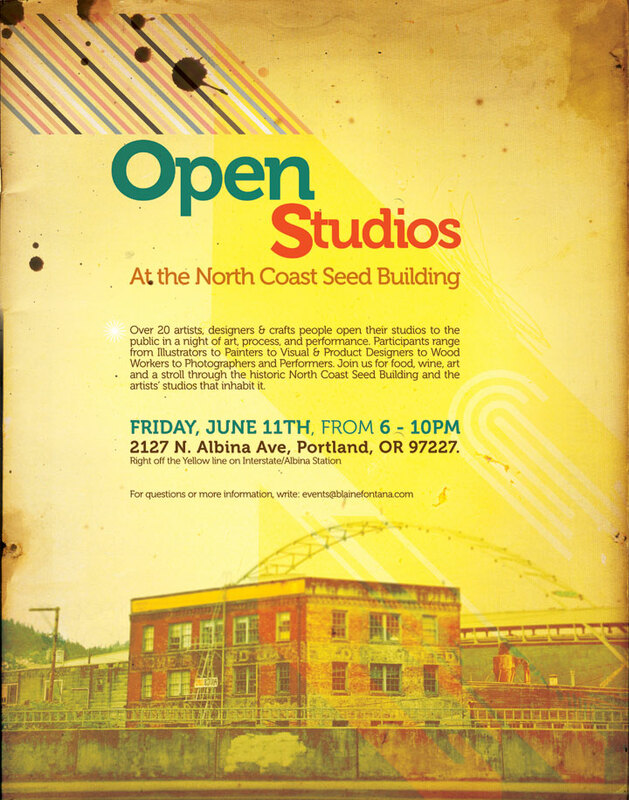 If you live or find yourself in Portland, OR on Friday, June 11th, my building will be hosting an Open Studio event. Over 20 artists, designers, and crafts people will be opening their doors to the public for a night of art, wine, food and cheer. 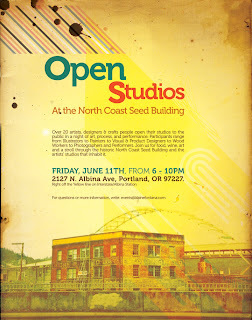 Located at the historic North Coast Seed Building and built in 1911, it has a wonderfully rich history. The original scales, freight elevator and old growth timber beams proliferate the units. 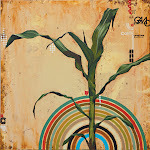 If you are fan of local art, design and architecture I invite you to check out the other studios, and say hi. 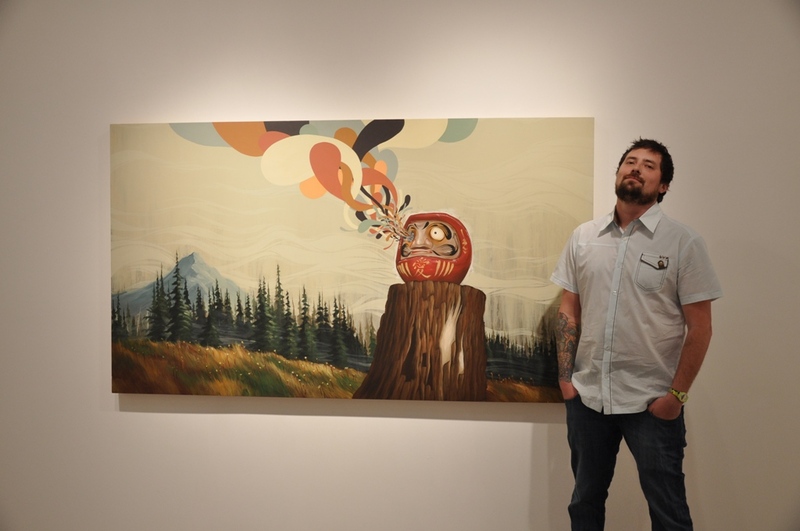 the good folks at the famed arrested motion blog recently posted an interview on their site. trust me when i say, i revealed a lot of what's happened over the last 3 years, and provided in depth details about my recent body of work. thanks a bunch sven for presenting thorough, researched, and challenging questions.